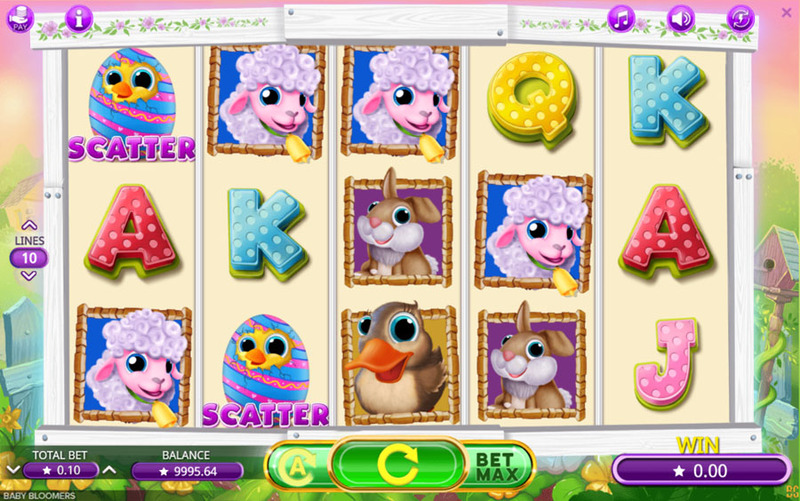 Get into the Easter Spirit by playing some of the great casino slots. This season there are a couple of game developers offering nice Easter themed slots. Booming Games was just in time with their Baby Bloomers release. This is a very simple, but bright slot machine. 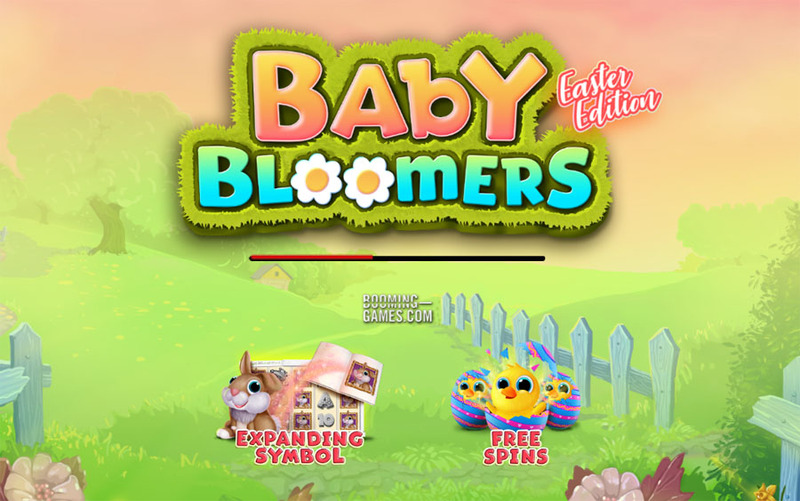 Easter theme is obviously the greatest attraction for players when it comes to Baby Bloomers slot. The game has a very traditional design. You’ll see baby sheep, bunnies and other cute little creatures appearing on a 5×3 reel set. Baby Bloomers has nothing to do with innovations or thrilling features. 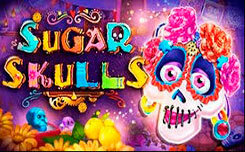 Players will just enjoy nice characters, wilds and free spins round. The slot is so simple, that it has a two page paytable. There are 10 bet lines and players can choose any number of active lines from 1 to 10. Another option players might like is a Stop button. You can choose when to stop the reels if you think that can help you win. Wilds can substitute any symbol except scatter. If you want to enter free games, you’ll have to land at least 3 scatters symbols. If you want more of the similarly themed titles, try Easter Island released by Yggdrasil just recently. It’s not about Easter eggs, bunnies and other traditions, but will remind you of this holiday as the island was discovered on Easter day centuries ago. Lucky Easter by Red Tiger Gaming is another great choice. 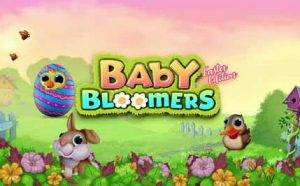 Unlike Baby Bloomers, this slot offers striking visuals and some thrilling bonus features. Play it if you want Easter slot to be entertaining.